Dhanush's debut directorial Pa. Paandi, which released last week, has been getting unanimously positive reviews from all sides for the film's strong emotions and many feel-good moments. 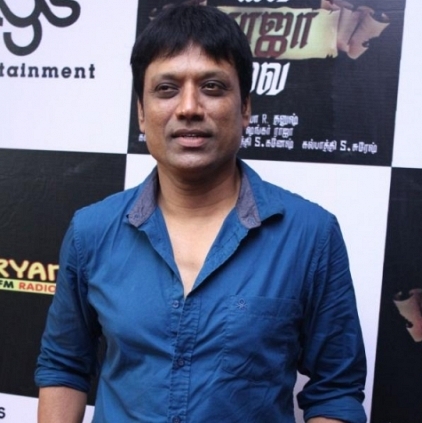 Actor, director S.J.Suryah, who has apparently seen the film, took to Twitter to share his opinion about this Rajkiran starrer. He tweeted, "Hi guys just saw pa Pandi..... ohhhhh .... congrats dir @dhanushkraja ....don't miss it .... Kavidha Kavidha contemporary kavidha ....sjs". Dhanush, replied to this tweet by saying, "Thank you so much sir. So happy you liked the film. And thanks for that emotional phone call as well :)." With all the accolades pouring in for Pa. Paandi, the film is releasing in Kerala today (21 April). Breaking: The judgement on Dhanush's paternity case is out! Samantha's Silambattam training for Vijay 61? Vijay and Rajinikanth's record to be broken? “I have an idea to underline the mystery here”. What is Priyanka Chopra’s next after Baywatch? People looking for online information on Dhanush, Pa. Paandi, Sj suryah will find this news story useful.